WHAT: Focused on love in its entirety, One Love 2016 invites all couples—newly engaged or married—to mingle with the some of the Northwest’s best wedding pros and lifestyle experts dedicated to help begin or continue the celebration of their lives together. 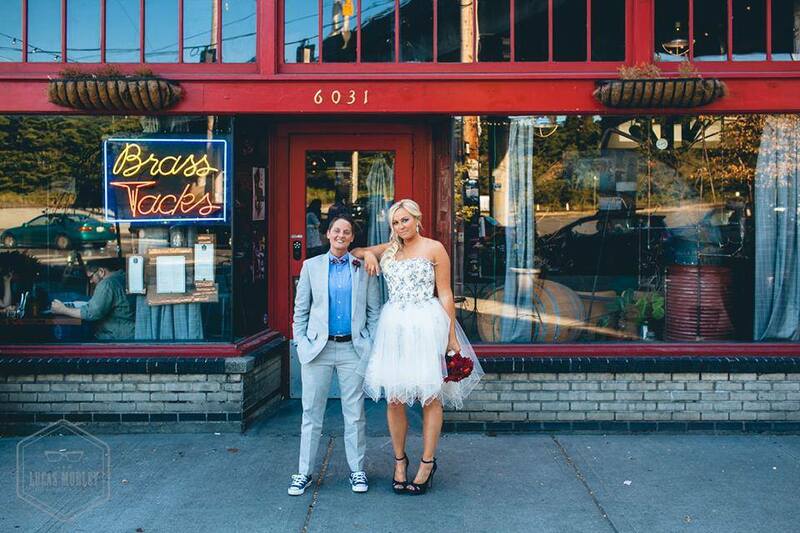 From venues and caterers to photographers, bakeries, and more, all businesses and experts are hand selected by founder Jenny Harding of New Chapter Events based on quality of service, professionalism, and most importantly their support of the LGBTQ community. This year's fifth annual One Love showcase will be partnering with Brides For a Cause, a Portland-Based bridal store partnered with Wish Upon A Wedding, a nonprofit dedicated to granting weddings and vow renewals for couples facing serious illness or a life-altering circumstance. Brides For A Cause will have a large booth complete with changing rooms where brides-to-be can try on gowns and purchase directly at the show. Guests will also experience the interactive style lounge, giveaways, tastings, and swag bags. WHEN: Sunday, February 21 from noon to 5:00. Registration is free to all who register in advance online.